Smartphones have become an essential part of our lives, but sometimes they get in the way of, well... living. Smartwatches were conceived as a band-aid for this problem—a way to keep us from parking big glowing rectangles in front of our faces on a permanent basis. So far, it's hard to say whether they're doing any good, but at their best they can help us manage our ever-expanding digital lives. They can also act as surprisingly fashionable accessories, and it's this marriage of utility and style that has brands as diverse as Apple and Fossil falling all over themselves to get into the market. The only downside? Your choice of watch will be limited by your choice of phone—particularly if you own an iPhone. But the good news is, you can still get a great smartwatch no matter what type of smartphone you own. We put them all through a rigorous battery of tests and gathered subjective impressions from multiple users to find the best models for every phone and budget. Here's what you need to know. It might surprise you, but our tests proved that the best Android Wear watch comes from a Chinese company with virtually no brand recognition in the U.S. Considered by many to be the Apple of China, Huawei initially made waves with affordable smartphones that offer the kind of style and polish we commonly associate with the iPhone maker. 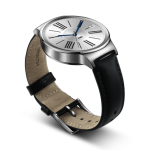 The Huawei Watch bears all the same hallmarks, with a truly circular display, responsive software, decent battery life, and a heart rate sensor packed into a compact, stylish body. 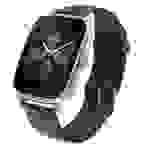 That's a feat other Android watch makers have struggled to reproduce. We were particularly taken with the design—especially the clever stainless mesh band on the model we tested. There are actually eight different base configurations, ranging from a stainless-and-leather option ($349) to a far pricier rose gold and metal link version ($799). But regardless of which style you choose, this is one smartwatch that won't ever look embarrassing on your wrist. If this seems like a foregone conclusion, that's because it is. Welcome to Apple's walled garden, where only native devices have access to key iOS functionality, like answering text messages and interacting with notifications. Naturally, only the Apple Watch gives iPhone all the features they'd expect of a smartwatch. Regardless, the Apple Watch provides a respectable user experience for those already in the fold. 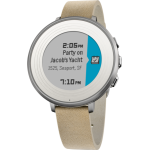 The apps are generally more robust than those designed for Android Wear or Pebble, and there are way more of them. For example, Apple Watch users get access to official Instagram and Twitter apps, while Android Wear and Pebble users only get notifications. Still, there are three big problems with the Watch: the user interface, app performance, and battery life. 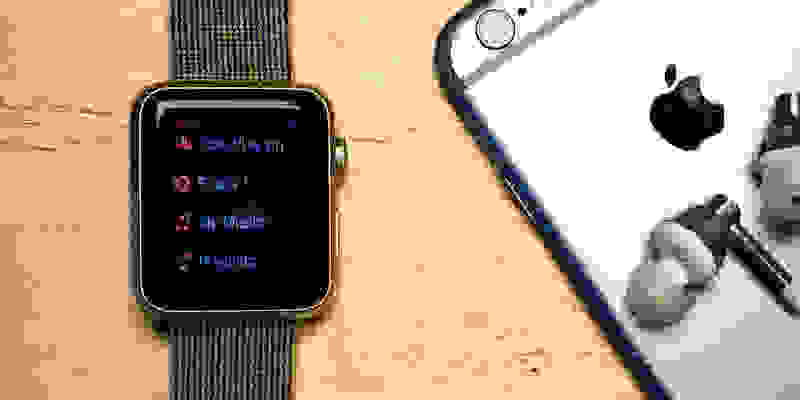 Unfortunately, watchOS isn't super intuitive, creating a learning curve that could frustrate less tech-savvy buyers. Apps still take too long to load, even with the upgraded watchOS 2.0. And the battery only lasts about a day and a half at best. 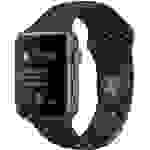 That's about average for a smartwatch, but far from the class-leading usability we expect from Apple. But if you own an iPhone and want the true smartwatch experience, the Apple Watch is the best choice for you. There's simply no alternative. 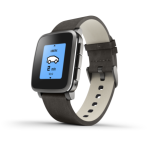 The Pebble Time is the rare smartwatch that gets just about everything right. Though it's not particularly stylish and doesn't sport a flashy touchscreen, it absolutely nails the fundamentals with an always-on color display, a simple yet snappy interface, and outstanding five-day battery life in real-world conditions. It'll forward all the notifications you want to your wrist, and it has a built-in mic so you can respond to text messages with your voice (when paired with an Android phone). Better still, thanks to its e-Ink technology, the screen is perfectly viewable even in bright sunlight. And while it can't match the Time Steel's two extra days of battery life, you simply can't beat the $99 price tag. 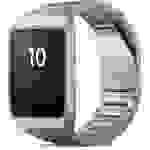 The only real ding against the Pebble Time is that it doesn't have the same developer backing as Apple and Android. That means there aren't a ton of big-name apps, though a few notable players (like ESPN and Pandora) are in the mix. Still, the excellent feature set, low price tag, and cross-platform compatibility make it one of the best smartwatches on the market. At $250 to $300, the Time Steel costs a bit more than the budget-friendly Time and even the pricier Time Round, but its upgrades could make it worthwhile for the right user. First, its battery regularly lasted six-plus days in our real-world testing, which makes it the longest-lasting smartwatch on the market by far. Second, its high-end looks make a real difference, ditching the Time's geeky, plasticky aesthetic for a more refined casing and stylish leather or metal bands. As with the Pebble Time, the color e-Ink display was readable whether indoors or out, and the Timeline interface was both cute and functional. In handling the basics so well, Pebble proves that you don’t need a complicated design to create a winning formula. 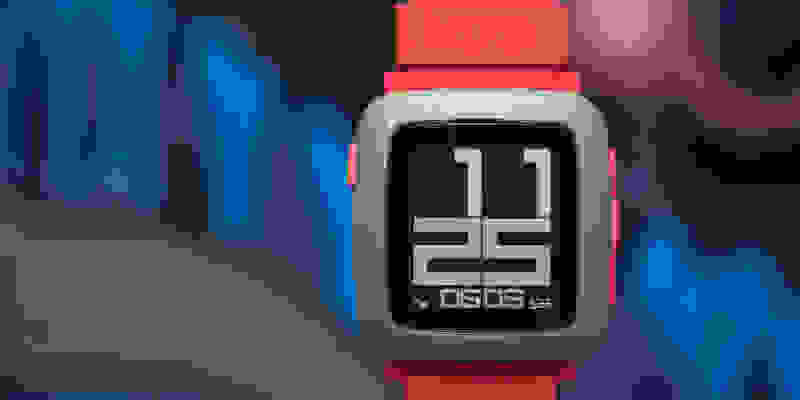 While the Time Steel is currently the best Pebble on the market, the company is currently promoting new Pebble 2 and Pebble Time 2 watches via a Kickstarter campaign. We’ll update our tests once those watches hit the market this fall. While the Huawei Watch is our top Android pick, the Asus ZenWatch 2 came in a close second. The hardware is just as speedy, and the battery life is just as decent. The ZenWatch 2 also offers a large, square display that feels bigger than most rivals, yet it never feels bulky. The only thing this watch is missing is a heart rate sensor, but unless you're a fitness fanatic, you'll probably get by without it just fine. Considering you can find it for half the price of the Huawei, it's definitely a compelling alternative. The Samsung Gear S2 is a bit of an oddball, since it runs on the company's proprietary Tizen OS. That means it really only works to its full potential with Samsung smartphones. Sure, it technically works with some Android phones—Samsung provides a handy list—but compatibility is limited. If you own an iPhone, you can forget about it for now. Nevertheless, the Gear S2 was a standout in our testing, offering solid battery life and an intuitive user experience. The watch also includes cellular radio, which means you can ditch your phone and still receive texts and calls, as long as you pony up for a separate plan. The only negative? Tizen doesn't have as many third-party apps as Android Wear, and it's missing many big names. 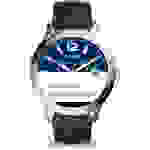 But if you like the Samsung product ecosystem, you'll enjoy using this watch. Like the Pebble Time and Time Steel, the Time Round is simple to use and offers great performance in a package the size of regular analog watch. The only problem is that the Time Round had to shave some battery life to achieve its svelte design. 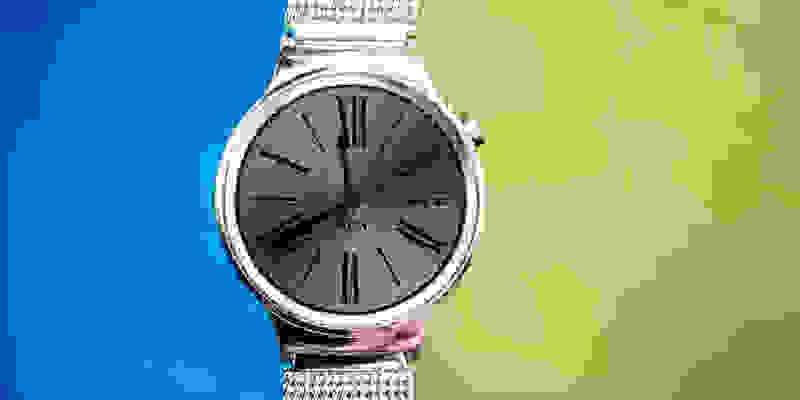 The result is a watch that, while good, only lasts a little over a day. That's pretty disappointing compared the exceptional 5–7 days you can get from the Time and Time Steel. The circular display also means that not all third-party apps work properly, making an already small ecosystem even smaller. Regardless, the Time Round does everything else right, making it a great option if you value size and style over battery life. The LG Watch Urbane is a good all-around smartwatch. It offers decent battery life, performance, and build, and that's why it's smack dab in the middle of this list. It doesn't really do anything a whole lot better or worse than the competition—it's just decent. While the Urbane is marketed on its high-end styling, the watch face is oddly long, making it look bulky on all but the biggest wrists. 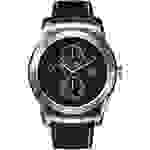 And considering LG just released a second-gen version with a built-in cellular radio, you might want to opt for the newer model—or a different watch altogether. As Android Wear watches go, the second-generation Moto 360 does most things well. There are a couple annoying issues, though: its battery life doesn't quite stack up to the competition, and it's bulkier than we'd like. It'll still get you through the day without driving you crazy, but you can definitely get a better watch for your money. 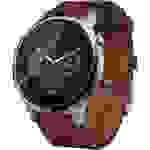 However, if Moto's design tickles your fancy, you won't have a bad experience with this watch. One of two specialty smartwatches in this roundup, the Casio Smart Outdoor Watch was built with hikers, fishermen, and other outdoor enthusiasts in mind. 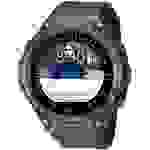 It offers a built-in altimeter and compass, and it's water resistant to 50 meters. 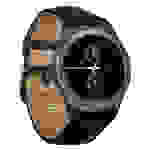 But perhaps its coolest feature is a mode that turns it into a monochrome dumb watch, so you can keep using it for days in the wilderness. When it's in smartwatch mode, you get all of the apps you expect from Android Wear, and the hardware is pretty snappy. But you'll have to get past the size, which is frankly comically large. The round screen also has the "flat tire" effect of the Fossil Q and Moto 360, which might turn some users off. It's still a good watch, but probably not one most people will want to wear unless they're out in the middle of nowhere. The Fossil Q Founder is the only watch on this list that's made by an old-school watchmaker, but don't let that sway you. It's a decent attempt at a true smartwatch, but it has a handful of design flaws that keep it from earning our highest recommendation. While the watch performs well and offers respectable battery life, it's simply too big. It also has a clipped circular display and lacks the heart rate sensor found in many similarly priced competitors. Ultimately, it's a little disappointing that a manufacturer like Fossil couldn't fit the same internals in a smaller build, like that of the Huawei Watch. The SmartWatch 3 was one of the first Android Wear watches to hit the market, and it suffers for that. Its older hardware simply feels sluggish when paired with Android Wear. Merely average battery life and an uninspiring design do little to improve things, and its price tag doesn't do it any favors, either. Given what's on offer from the competition, you can find a much better Android Wear watch for the same money. Like the Casio, the Fitbit Blaze was designed for a specific audience. It doesn't offer third-party apps, but it does have plenty of health and fitness tracking features, including a built-in heart rate sensor. Unfortunately, while it's a pretty good fitness tracker, the Blaze is a really disappointing smartwatch. In our testing it had trouble delivering and managing notifications—the thing you most need a smartwatch to excel at. Our advice? If you want a smartwatch, get a real smartwatch. 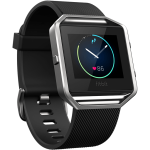 And if you want a fitness tracker, there are plenty of cheaper ones out there. The Blaze might appeal to those who want both in the same package, but as things stand it's not quite the real deal.